There are two types of country in the European Broadcasting Union, Members and Associate Members. Australia are Associate Members. The regulations for the contest say that you must be a member of the EBU to participate in the Eurovision Song Contest. Why are Australia allowed to participate in 2015? Australia is allowed is because they’ve been invited – just this once – to celebrate the 60th anniversary of the contest. Update: They keep being invited back now, so it appears. Who is allowed to compete in the Eurovision Song Contest? All of these countries may participate in the Eurovision Song Contest if they wish as they are members of the EBU. It doesn’t matter if they’re in Europe or not. Who are the other members of the EBU? 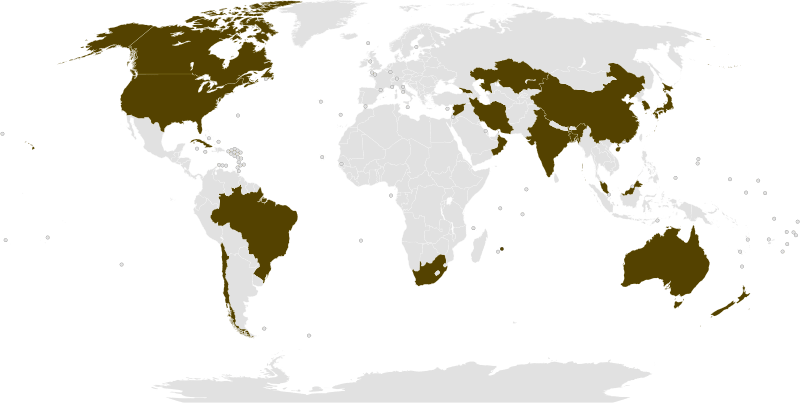 Australia, Bangladesh, Brazil, Canada, Chile, China, Cuba, Georgia, Hong Kong, India, Iran, Japan, Malaysia, Mauritania, Mauritius, New Zealand, Oman, Philippines, South Africa, South Korea, Syria, United States. The EBU have said that they are looking into the possibility of inviting guest countries in the future if the Australia thing works out. Australia would return for the 2016 contest, would organise the contest as winners do the following year – but it would need to held in a European city of their choice. I hope that has cleared the confusion – aggravated by Australia this year – that seems to arise each year about which countries may participate in the contest. F1 silly season is very silly this year. Here are two things things that are happening, one for certain, one quite possible. P.S. Let’s hope Bianchi pulls through. You can look back through some old pages on here to see that I rate him highly.